Are you the registrar or treasurer for non-government organisations (NGOs), religious bodies, clubs, charities, parent-teacher associations (PTAs), resident associations (RAs), gated and guarded committees, project groups, soup kitchens or other non-profit groups? Is your membership list in a mess? 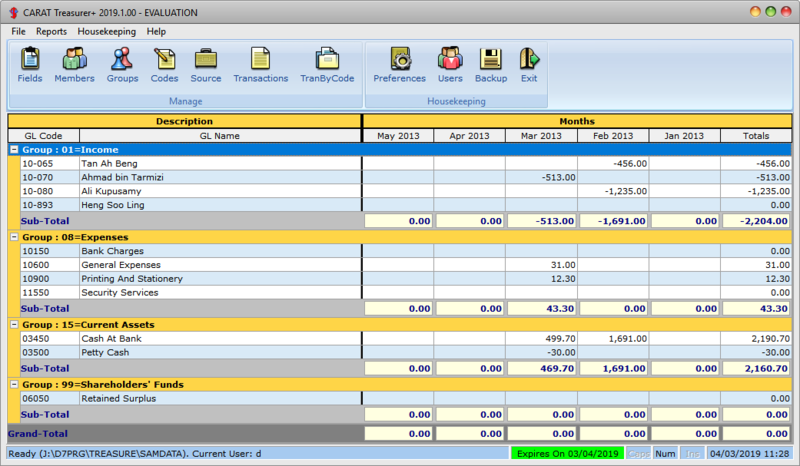 Do you want to stop using Excel® to record income and expenses? Would you would be interested in using a real database software to simplify the process of keeping accounts and generate important reports quickly? A trial for CARAT Treasurer is available here.